Vampyr’s RPG system only levels up when you drink blood – even from innocent sources. 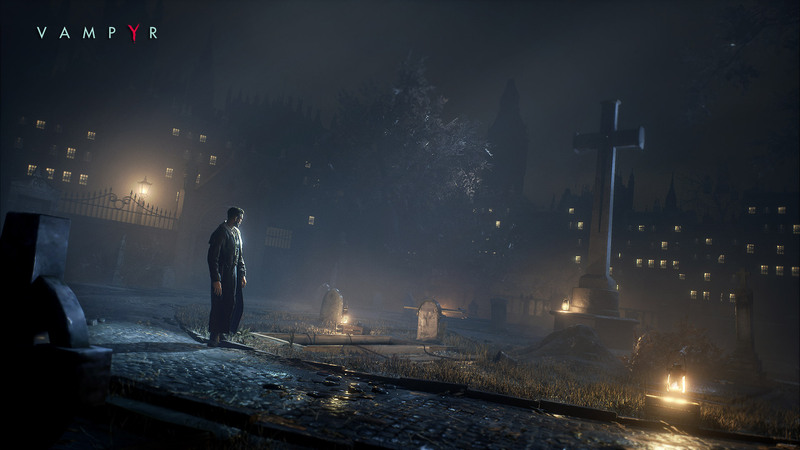 Anyone who likes vampire stories and moral complexity should pay close attention to Dontnod’s upcoming RPG, Vampyr. According to a new report from Zam, Vampyr’s story and leveling mechanics are tied together in a unique way – both advance depending on whose blood you decide to drain. Vampyr is set in the London, England of 1918, as the Spanish flu ravages the city. You play as a newly-turned vampire on a personal quest, but first you need to become more powerful. That means drinking blood, and the game isn’t especially picky about who exactly it comes from. That’s where Vampyr’s investigation mechanics come into play – you can research the personal histories of NPCs, learning for yourself whether a particular character deserves to be killed. Once you feel satisfied with your target, simply lure them into a secluded area and Ding! You’ve leveled up! Of course, draining victims isn’t without consequence. The unlucky choice of Zam’s demo, for example, was a loving father who also happened to be threatening a local merchant. Killing him may have spared the storeowner, but it’s also left someone fatherless. Alternatively, you could drain the merchant or the child directly, which will have other consequences on the unfolding story. It’s an interesting way to directly tie RPG level to a narrative, making Vampyr one of the more interesting RPGs to keep an eye on. The finished game will launch for PC, PlayStation 4, and Xbox One in 2017.